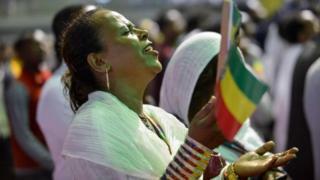 A woman is among tens of thousands of Ethiopian Orthodox Christians celebrating the return of exiled patriarch Bishop Merkorios to the capital, Addis Ababa, on Friday. 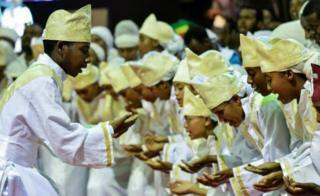 Boys, who were not born when the patriarch fled to the US 27 years ago, join in singing hymns at the city’s Millennium Hall. 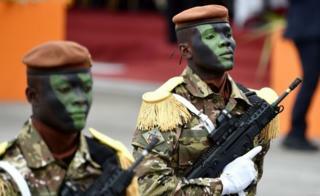 On Tuesday, Ivory Coast’s special forces, with their faces painted in the green of the national flag, parade during celebrations marking 58 years of independence from France. 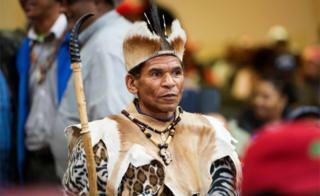 A man in Khoi San regalia in Cape Town on Friday attends a public hearing about the South African government’s plan to expropriate white-owned land without compensation. 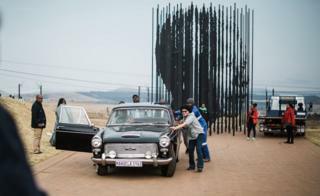 The next day, people take part in the unveiling of the identical car used by police to arrest anti-apartheid icon Nelson Mandela 56 years ago in Howick, some 125km (78 miles) from Durban. 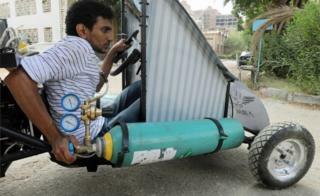 On Tuesday, an engineering student drives an air-powered vehicle that he helped design to promote clean energy in Egypt’s capital, Cairo. 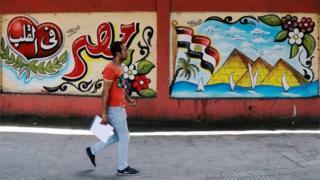 In the city on Monday, a man walks in front of some graffiti that includes the words: “Egypt is in the heart”. On the same day, a girl in Zimbabwe stands near a defaced poster of President-elect Emmerson Mnangagwa in the capital, Harare – an opposition stronghold. 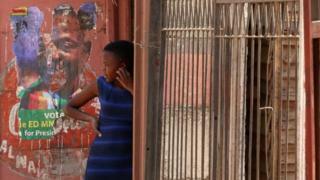 These girls attend Sunday school at Harare’s Catholic cathedral the day before. 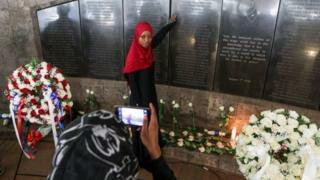 A woman who lost a relative in an al-Qaeda bombing in Kenya’s capital 20 years ago points to a commemorative plaque on Tuesday naming the more than 200 who died. 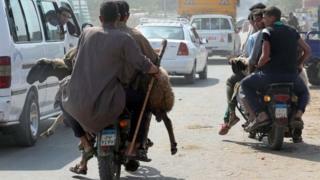 Here a vendor takes this animal to a customer’s car. 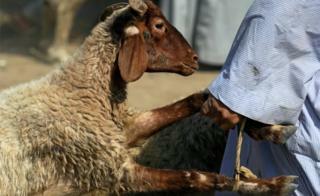 Also known as the Feast of the Sacrifice, the festival commemorates Abraham’s willingness to sacrifice his son to God. 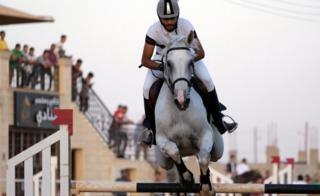 And a rider in the Libyan city of Benghazi show off his horse’s skills at an annual equestrian event – the Knights of Libya Festival – on Tuesday.